Disney is responsible for creating some of the most beloved franchises. Not only are they in charge of the Disney animation legacy, but also Marvel, Pixar, and Star Wars. All of which have films coming out this year. Starting in March, nearly every month will see a new film from Disney. There are so many, in fact, this may be Disney’s biggest box-office year to date. This is the ultimate muscle stretch for CEO, Bob Igor. He also spearheaded two Star Wars lands at both North American Disney Parks, called “Galaxy’s Edge”; opening in Anaheim this summer with Orlando opening in the fall. Check out the schedule below and add the dates to your calendar as there is nothing you are going to want to miss! Synopsis: The story follows Carol Danvers as she becomes one of the universe’s most powerful heroes when Earth is caught in the middle of a galactic war between two alien races. Set in the 1990s, “Captain Marvel” is an all-new adventure from a previously unseen period in the history of the Marvel Cinematic Universe. Synopsis: Circus owner Max Medici (Danny DeVito) enlists former star Holt Farrier (Colin Farrell) and his children Milly (Nico Parker) and Joe (Finley Hobbins) to care for a newborn elephant whose oversized ears make him a laughingstock in an already struggling circus. But when they discover that Dumbo can fly, the circus makes an incredible comeback, attracting persuasive entrepreneur V.A. Vandevere (Michael Keaton), who recruits the peculiar pachyderm for his newest, larger-than-life entertainment venture, Dreamland. Dumbo soars to new heights alongside a charming and spectacular aerial artist, Colette Marchant (Eva Green), until Holt learns that beneath its shiny veneer, Dreamland is full of dark secrets. Synopsis: A thrilling and vibrant live-action adaptation of Disney’s animated classic, “Aladdin” is the exciting tale of the charming street rat Aladdin, the courageous and self-determined Princess Jasmine and the Genie who may be the key to their future. Directed by Guy Ritchie, who brings his singular flair for fast-paced, visceral action to the fictitious port city of Agrabah, “Aladdin” is written by John August and Ritchie based on Disney’s “Aladdin.” The film stars Will Smith as the Genie; Mena Massoud as Aladdin; Naomi Scott as Jasmine; Marwan Kenzari as Jafar; Navid Negahban as the Sultan; Nasim Pedrad as Dalia and Billy Magnussen as Prince Anders. At Disneyland, the iconic shape of the original Disney park has changed a lot over the years, but this is the first major expansion this park has seen since Toontown was added in the early 90’s. The entrance to the new land sits between Frontierland and Fantasyland. The park is making many new updates to prepare for the grand opening, but eagle-eyed fans have been watching this project from the start. If you are planning a trip to Disneyland soon, the best views are provided by the top of the Mark Twain Riverboat and the highest peak of Big Thunder Mountain. At Walt Disney World, the new land will be at Hollywood Studios. Galaxy’s Edge is part of a continued expansion that started with the nearly opened Toy Story Land. Galaxy’s Edge is taking over the majority of the Streets of America “backlot”, and attractions Lights, Motors, Action! Extreme Stunt Show, Legend of Captain Jack Sparrow and Honey, I Shrunk the Kids: Movie Set Adventure. The Streets of America section has been revamped to fit an LA themed area. Further, only in Orlando, there will be a Star Wars hotel that is said to change the way you think of immersive hotels. The hotel will connect to the new land, so guests can directly enter Galaxy’s Edge from the hotel. The story and attractions will be the same at both parks, but the exact layout will vary to fit the surrounding park. There will be two new rides which are slated to be bigger and more involved than any ride experience before. The land will be a new planet adding to the canon of Star Wars. Disney is releasing a comic miniseries in April to prepare fans. We can’t wait! *Released and produced by 20th Century Fox, this is a Marvel property, so we’ll include it! Synopsis: The X-Men face their most formidable and powerful foe when one of their own, Jean Grey, starts to spiral out of control. During a rescue mission in outer space, Jean is nearly killed when she’s hit by a mysterious cosmic force. Once she returns home, this force not only makes her infinitely more powerful, but far more unstable. The X-Men must now band together to save her soul and battle aliens that want to use Grey’s new abilities to rule the galaxy. Synopsis:Woody has always been confident about his place in the world and that his priority is taking care of his kid, whether that’s Andy or Bonnie. But when Bonnie adds a reluctant new toy called “Forky” to her room, a road trip adventure alongside old and new friends will show Woody how big the world can be for a toy. *Released and produced by Sony & Marvel, but certainly part of the MCU! Synopsis: From Disney Live Action, director Jon Favreau’s all-new “The Lion King” journeys to the African savanna where a future king is born. Simba idolizes his father, King Mufasa, and takes to heart his own royal destiny. But not everyone in the kingdom celebrates the new cub’s arrival. Scar, Mufasa’s brother—and former heir to the throne—has plans of his own. The battle for Pride Rock is ravaged with betrayal, tragedy and drama, ultimately resulting in Simba’s exile. With help from a curious pair of newfound friends, Simba will have to figure out how to grow up and take back what is rightfully his. Synopsis: Directed by Kenneth Branagh and based on the beloved book by Eoin Colfer, ARTEMIS FOWL follows 12-year-old genius Artemis Fowl, a descendant of a long line of criminal masterminds, as he finds himself in a battle of strength and cunning against a powerful, hidden race of fairies who may be behind his father’s disappearance. D23 is Disney’s bi-annual fan convention. Who needs Comic Con when you own can host your own convention?! Disney and Marvel have notably removed a lot of their film presence at the annual San Diego Comic Con in favor of their own convention. Technically, this convention is hosted by D23, the official Disney fan club (which you can join via free & paid memberships). The event offers first looks at trailers, announcements about all things Disney, from theme parks, to film and TV, to cruise ships. The conventions headlining events include the Disney Legends induction ceremony and the “Mouse-querade” ball to show off your best costumes, cosplay and Disney-bounding. This year’s theme is Haunted Mansion. This event sees its fair share of Disney celebrities, too. 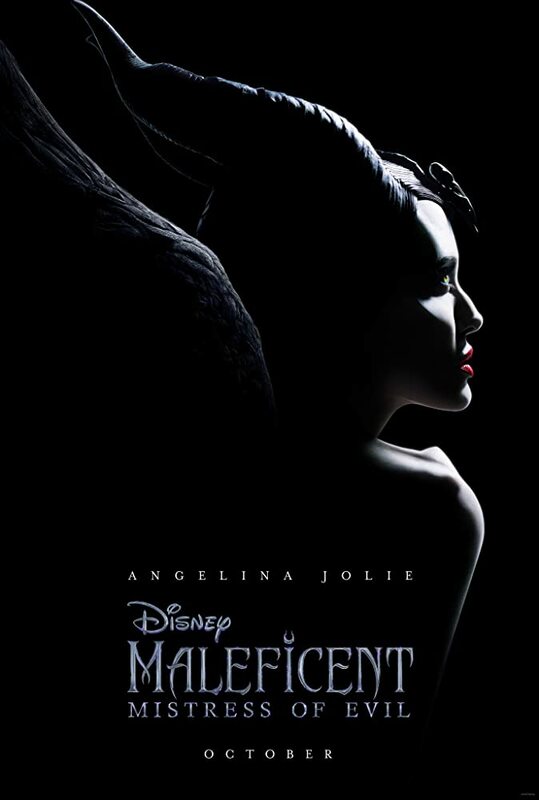 Synopsis: The complex relationship of Maleficent and Aurora continues to be explored as they face new threats to the magical land of the Moors. Synopsis: No official synopsis has been released. There is little known about the plot of the follow-up except that the cast and creative team are all returning. We’ll keep you posted! We don’t have any plot details, but we know this film is directed by Force Awakens director, J.J. Abrams. It was rumored that the film featured Carrie Fisher, but following her death in 2016 the script needed to be rewritten. Expect more details to emerge in the summer, possibly at Disney’s D23 Expo in August. Follow us on Instagram, Twitter, and Facebook to stay connected to all of our best reviews!